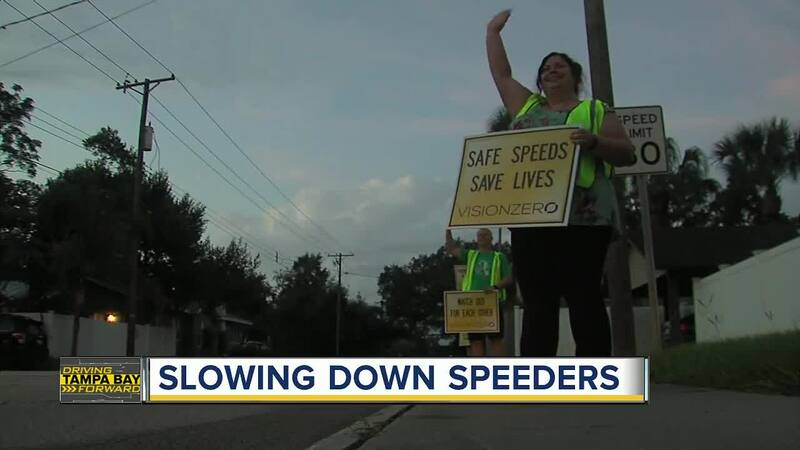 TAMPA, Fla. — Seminole Heights residents are taking a stand, saying they are fed up with drivers speeding down residential streets and crashing in their neighborhoods. 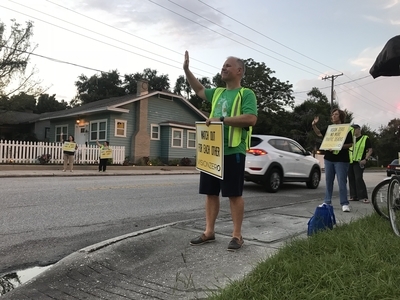 Thursday morning, people who live along Highland Ave in Tampa are standing along the street between Violet and Haya with signs asking people to slow down. This is an event in partnership with Vision Zero, an organization that aims to prevent traffic deaths and promotes pedestrian and bicycle safety. In the past five years, there have been 25 crashes and more than a dozen injuries at Highland and Violet, and 23 crashes and nine injuries at Violet and Haya. Speeding has been a persistent problem in Seminole Heights. In just the past few months, there have been several vehicle crashes into homes and businesses.